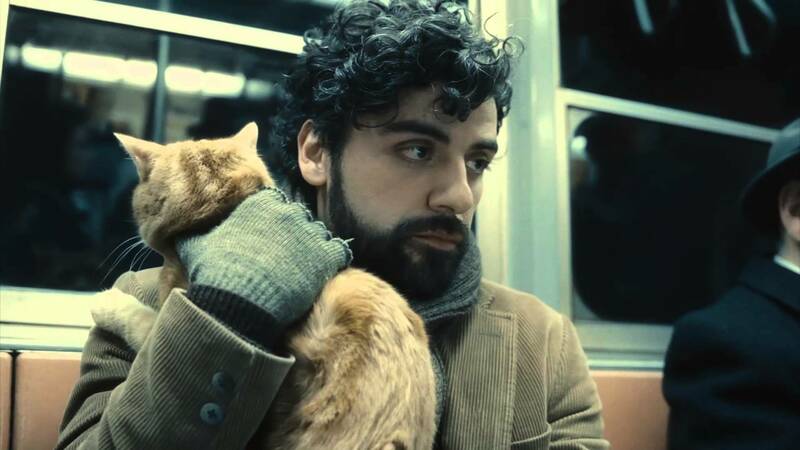 The 21st Century has been and continues to be an astounding and simply stunning time for cinema. There seems to be no end to the awe-inspiring visuals lighting up living rooms, bijous, drive-ins, and multiplexes the world over. Taste of Cinema’s tireless and exciting search for the most visually exquisite films of this century has been no easy charge, though several films stood out straight away. The assembled list presented here offers up films of dazzling depth, stirring symmetry, impeccable production design, gorgeous framing, and assured grace. Please add any titles we overlooked in the comments section below, but above all else, seek out those listed that you’ve missed out on, enjoy and join the discussion. 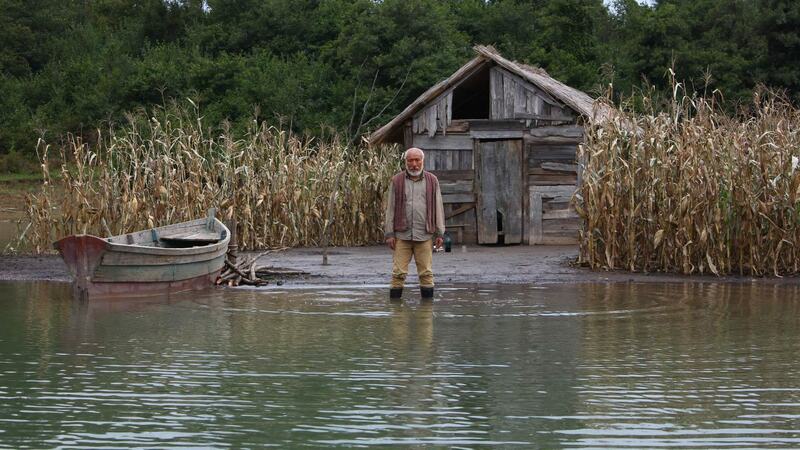 Austere, intelligent and about as far removed from Hollywood as can be, Giorgi Ovashili’s pragmatic allegory about a fine fettled peasant (İlyas Salman) and his devoted granddaughter (Mariam Buturishvili) is one of the most stunning and graceful films of 2014. It unravels at an unhurried pace, but its visuals are so lovely and alluring – cinematographer Elemer Ragalyi’s 35mm photography is spellbinding – making for a very singular cinematic experience that will leave you dumbstruck and dazzled for days. Words needn’t speak what the heart already knows. 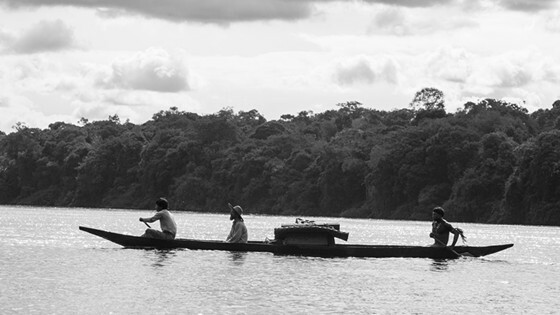 Man’s connection to nature, the tragic loss of a conquered people, and the mean mysticism that’s carried along with it are at the heart-stirring center of Ciro Guerra’s Heart of Darkness-like adventure odyssey, Embrace the Serpent. The winner of the Art Cinema Award in the Directors’ Fortnight section at the 2015 Cannes Film Festival, this Amazon-set saga of spirituality and enveloping atmosphere is an opulent black-and-white affair that is fittingly plush in 35mm. This is one of those great and tragic epic jungle films, like Werner Herzog’s Aguirre, the Wrath of God (1972) or Francis Ford Coppola’s Apocalypse Now (1979), and like those films it was also made under extremely difficult conditions, conditions made palpable by David Gallego’s immersive cinematography. The Colombian landscapes are as majestic as they are menacing, making the forests a crazy-quilt of textures and ancient radiance. This isn’t just cinema, it’s a feat of luminous and everlasting strength. Co-directors Fernando Meirelles’ and Kátia Lund’s decades-spanning crime drama epic set in the sprawling slums of Rio de Janeiro is a post-Scorsese fever dream. 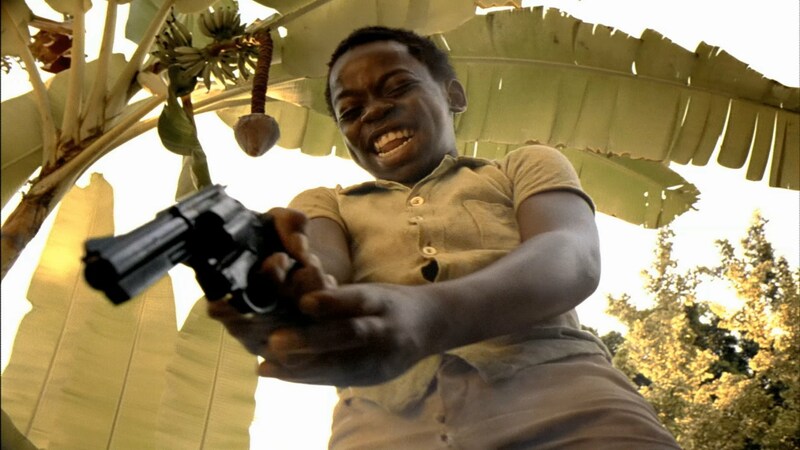 It’s unshrinking and outright shocking violence, quotable, often hilarious dialogue, and vibrant visuals — the labyrinthine, infraction-filled streets and housing projects of Rio astound — not to mention the harrowing yet luminous performances from it’s child actors, make City of God a rememberable and momentous picture, worthy of the world-wide acclaim it accrued. 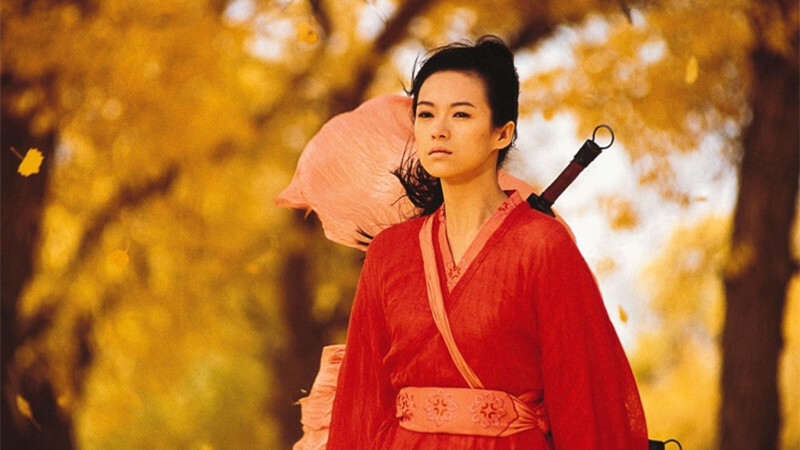 Probably the most celebrated of China’s contemporary directors, Zhang Yimou met international fame with his visually stunning romantic melodramas of the 1980s and 1990s (1987’s Red Sorghum, and 1991’s Raise the Red Lantern ranking amongst his most beloved earlier works), but it was his lush martial arts epic from 2002, Hero, which reinvented him as the modern master of the wuxia. With a dream cast led by Maggie Cheung, Jet Li, and Zhang Ziyi, this epic was also elevated by Tingxiao Huo’s and Zhenzhou Yi’s impeccable production design and Christopher Doyle’s gorgeous cinematography. Mexican director Alejandro González Iñárritu has always been a visually arresting filmmaker and with The Revenant he’s crafted a compelling study of obsession on a monstrously mammoth scale. Using only natural light––mostly during magic hour––Iñárritu and his seemingly supernatural DP Emmanuel Lubezki capture the rhythms of nature, the sweeping vast stillness of the frontier, and the bleeding black heart of Manifest Destiny-crazed colonialists in 1800s North America. The Revenant erupts with violence and upset, it also gambols with languid long takes, quiet calm, and a naturalistic beauty that renders elegance and symmetry seemingly from the firmament. The clash of cultures between Native Americans and European settlers hasn’t seen this kind of sumptuous camerawork and compassion since Terrence Malick’s The New World (also lensed by Lubezki, and also on this very list). Iñárritu should be considered cinema’s transcendental poet laureate of the wide-framed moving image; his devotion and veneration for the natural world is contained in every second of The Revenant. Don’t miss it, and don’t forget the bear spray next time you go camping, either. Vividly convincing, more elegiac than dramatic, and beautiful to behold, Wong Kar-wai’s stylistic martial arts epic The Grandmaster is a captivating feat of cinematic strength. While it may not have the clarity of vision and somber elegance of Wong’s shattering showpiece In the Mood for Love (also on this list), this is still an achingly gorgeous and luxuriant visual feast. Yes, the Grandmaster has some murky narrative problems –– largely lost in translation –– and this presents some frustration as substance succumbs to style, but the overwhelming, often mercurial, and endlessly impressive action scenes help make this exploration of the life of the legendary wing chun teacher Ip Man (Tony Leung) an astonishing experiment in sensory cinema. Beginning in the 1930s and moving through to the 1950s, the often ritzy period details are perfect, as are the stunningly fluid and dynamic movements of Gong Er (Zhang Ziyi), and the reverential approach to martial arts traditions, distinctive combat styles, makes for an impressive genre hybrid of kung fu action and arthouse. 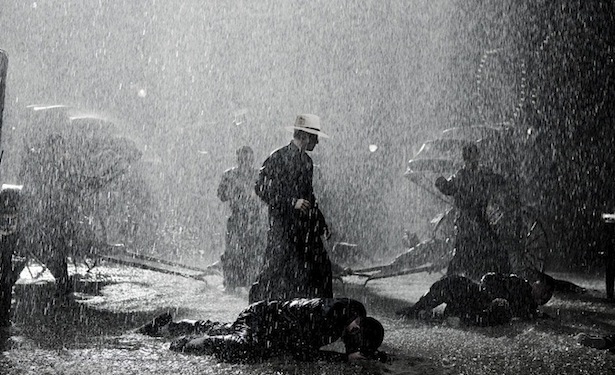 The Grandmaster is a gorgeous, intoxicating, and sweeping jewel of a picture from Wong, but let’s hope that the 21st Century will see a few more from this sensualist and stunning craftsman. Morvern Callar is Lynne Ramsay’s miraculous second feature, a loose adaptation of contempo-beat Scottish writer Alan Warner’s 1995 cult novel of the same name. A challenging but rewarding film of startling beauty and immense intellect, Morvern Callar begins in a small coastal town in the west of Scotland where self-effacing clerk Morvern (Samantha Morton, incredible) is suddenly thrust into turmoil after the suicide of her boyfriend. A series of rivetingly rendered events soon finds Morven and her bff Lanna (Kathleen McDermott) on a trip to Ibiza and beyond, that brings with it unexpected emotions, revelatory questions and comments regarding sexuality, class conflict, loyalty, identity, and lamentation. Morvern’s picaresque quest, the people and places she interacts with along the way, all contribute to a many-layered parable that’s also a stunning tour de force. “Where are we gonna go?” asks Lanna, to which Morvern responds: “Someplace beautiful.” Ramsay’s Morvern Callar is unforgettably such a place. Writer-director Barry Jenkins, in adapting the marvellous Tarell Alvin McCraney play “In Moonlight Black Boys Look Blue” has fashioned a Florida-set coming-of-age odyssey that is both urgent and gravely moving. Simultaneously tender and tough, Moonlight brilliantly captures what it means to be a black man in contemporary America as Jenkins details the dysfunction and maturation of a young man named Chiron, a Miami resident amidst the crack contagion era. Astonishingly brought to life by three different actors during different and defining stages in his life –– Alex Hibbert as a child, Ashton Sanders as a teen, and Trevante Rhodes as a young man –– rarely has an understanding of euphoria, longing, heartache, and grace been so triumphantly shared on screen. You won’t find the expected stereotypes here, just sensual, expressive, and exhilarative expressions of humanity, black masculinity, and thrilling savoir-faire. Moonlight is pure, full-bloom, high-minded magic.